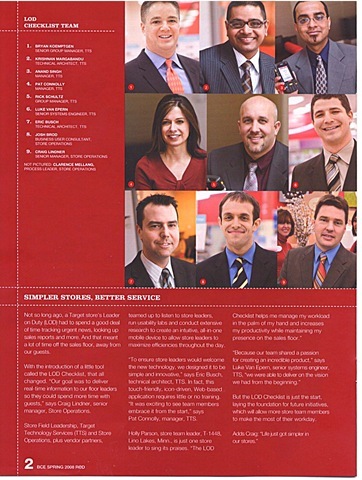 We strive for good quality, a job well done, making the client happy. 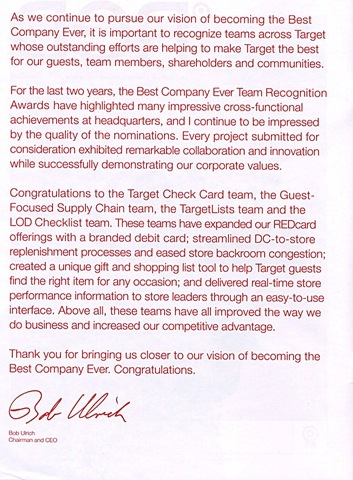 Having a customer or client that is so enthusiastic about a solution my team and I delivered that they use dramatic phrases like “improved the way we do business and increased our competitive advantage” from Bob Ulrich the chairman and CEO and “Life just got simpler in our stores” from Craig Lindner Senior Manager, Store operations both from one of the largest retail organizations in North America can only be described as an honor and a privilege. 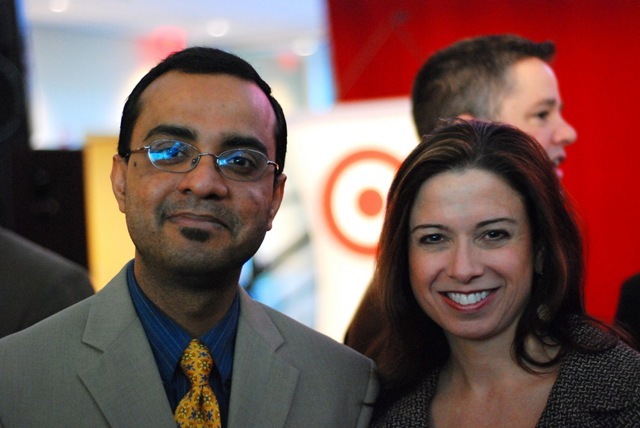 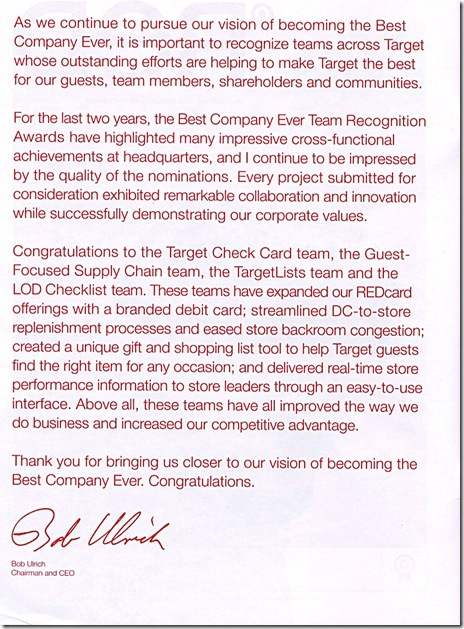 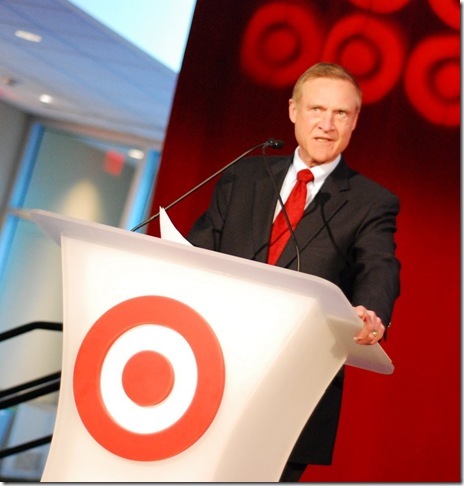 Last week I was at Target Corporation in Minneapolis for the formal presentation of the “Best Company Ever” team recognition award to the Target TTS team for the LOD Checklist project. 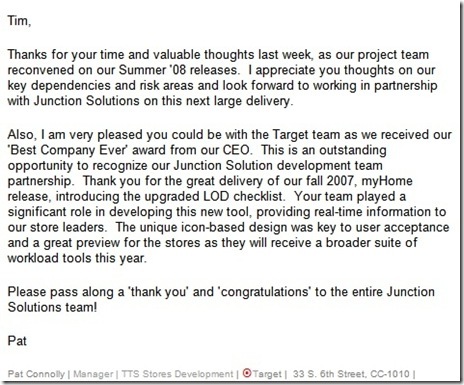 Junction Solutions provided the front end graphical solution, and approximately half of the numerous back end services for the LOD Checklist solution. 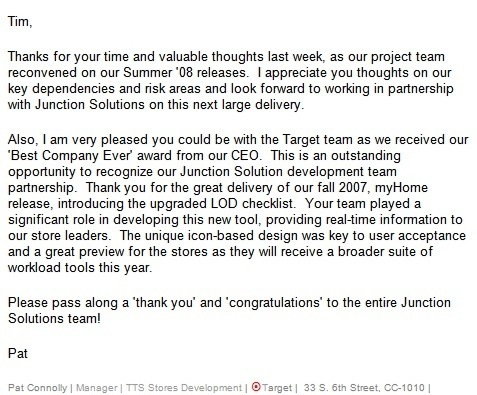 I've been working as the project manager for this project at Junction Solutions for the last two and a half years.